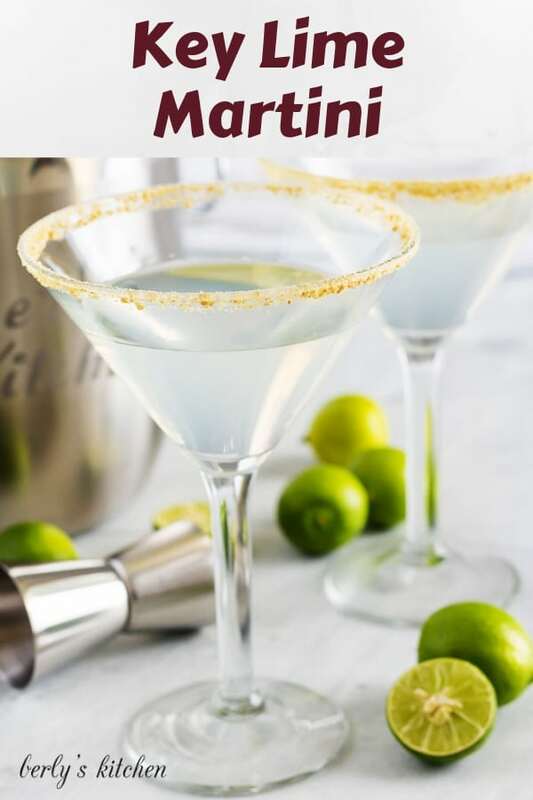 This Summer treat your guests to a Florida favorite, the key lime martini. A thirst quenching blend of citrus alcohol and authentic key lime juice! Kim and I took a trip to the Keys back 2009 and fell in love with the area. Warm temperatures, beautiful beaches and scenery, and an eclectic culinary scene. It’s a region I recommend everyone visit at least once in their life. It was during that trip that I first tasted an authentic key lime recipe. The dish was a slice of key lime pie from Kermit’s Key West. Needless to say, I’ve been hooked ever since. If you’ve never tasted a key lime before, let me tell you, it’s unlike any other lime on the market. In fact, one of my biggest pet peeves is when someone tries to pass off Persian limes as key limes. So, it goes without saying, you’ll never have to worry about that kind of trickery at Berly’s Kitchen, LLC. We don’t mind paying the extra money for authentic key limes or key lime juice. 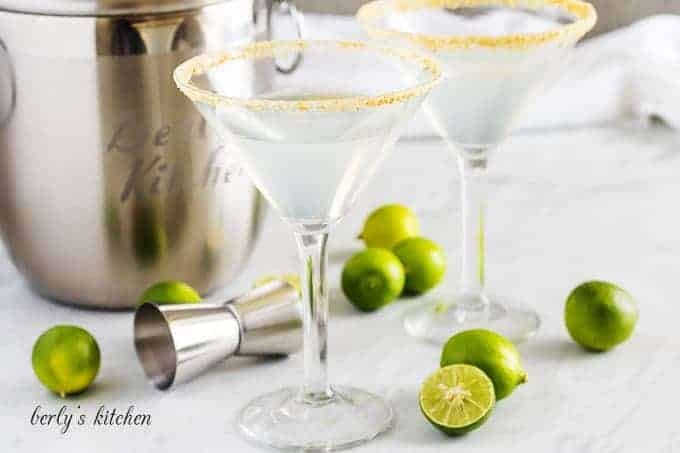 Which brings us to today’s key lime martini. And yes, it uses real key lime juice! The martini cocktail is a blend of triple sec, vodka, and of course, key limes. All you need is a shaker or two cups that can fit into each other, some ice, the liquor and liqueur, and the juice. The graham cracker crumbs are optional. Put the ice, vodka, triple sec, and key lime juice into the shaker. Give it good shake, and pour it into a prepared martini glass. That’s it, enjoy it while it’s cold. We hope you like this recipe and wish you all the best. I know I’ve said this before, but I’ll go over it again. When it comes to purchasing alcohol, try to buy middle to top shelf (if you can afford it). Around here, we call bottom shelf liquor, “rot gut booze.” It’s earned that title honestly. Since there’s no cream or other heavy fats, feel free to give the drink a hard shake. Turn on some music and put on a show if you’re inclined to do so. If we had used half and half or cream, then you would gently shake the drink. Otherwise, the fat would stick to the ice and your cocktail would separate and be pretty darn gross. My last tip is to please drink responsibly. There are three (3) ounces of alcohol per serving. Take it slow, enjoy your drink. Pair it with some appetizers like crab rangoons or Korean lettuce wraps. 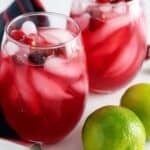 Food with a citrus or fruity flavor and enjoy the experience. 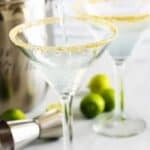 If you enjoyed our key lime martini cocktail, please leave us a comment and rate the recipe card. You can also find us on Facebook, Pinterest, Twitter, and Instagram by searching for Berly’s Kitchen! 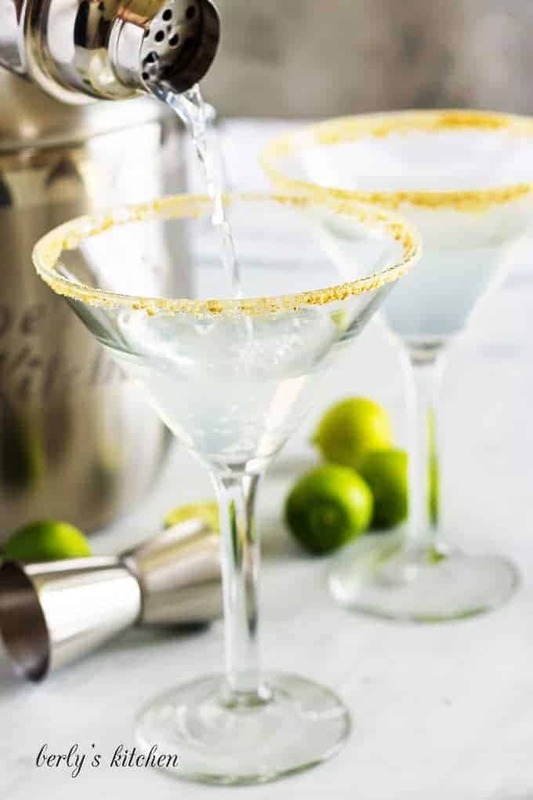 Use a lime wedge or dip your finger into lime juice and run along the edge of a martini glass. 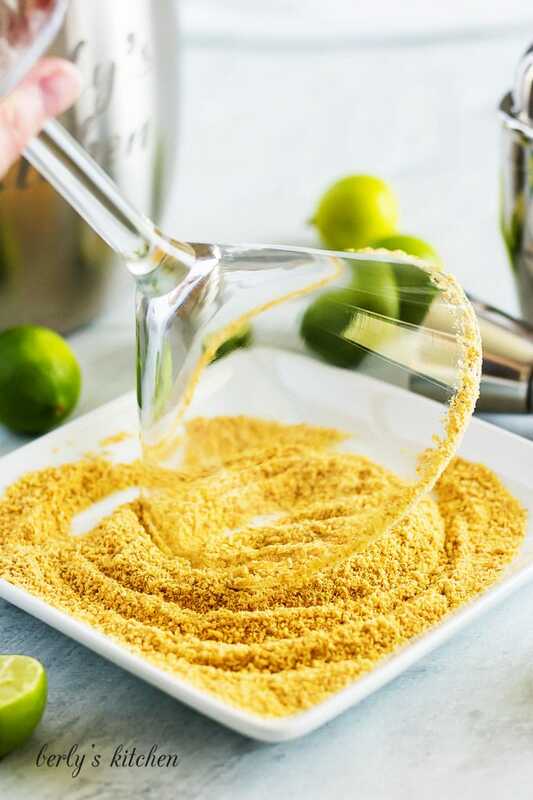 Lightly press the edge of the glass into graham cracker crumbs to make the graham cracker rim. Set aside. Pour vodka, triple sec, and key lime juice into a shaker. Add ice. Shake for several seconds to mix. Pour the mixture into the martini glass and enjoy cold! The calories listed are an approximation based on the ingredients and a serving size of one (1) key lime martini. Actual calories will vary. The beverage should be consumed as soon as it’s prepared. Storage is not recommended.